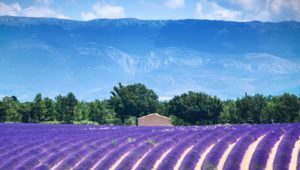 If you are one of the thousands of expats who are French residents, or will be soon, it is likely you have one or more UK pensions and may be considering a UK pension transfer to France. Upon relocating to a new country re-aligning your finances and insurances is usually one of the first port of call. It is essential to make sure you are fully covered on all the basics. You can then explore investment products in France, such as savings and pension schemes to best utilise what is on offer. What is often put to the back of the list is previously held policies from your former country of residence. It could be things such as pensions, ISA’s, savings accounts or stock and shares investments. Pensions and pension transfers have long been in the headlines over the last few years and often for the wrong reasons. Pension scams, unregulated investments and underfunded Defined Benefit schemes have all got a lot of press. What is clear is that there is no one size fits all and every person’s situation is unique. In certain situations like the Defined Benefit schemes with a guaranteed income for life, it does not make sense to be transferring your pension. This all leads back to the big question – Why would you want to transfer your pension to France? In short, and again this depends on your own position, there are a number of benefits that come with transferring a pension once you have settled in a new country. Ongoing management of your fund in line with your every changing requirements. The key benefit the majority of people find is control over succession planning. The ability to guarantee that 100% of one of your largest assets is passed onto your beneficiary of choice. How beneficial your existing scheme or schemes are? Both now and in the long term. Are they held in the best structure for your requirements? With the current large amount of volatility in the markets along with the consistently low-interest rates, it is now more important than ever to make sure your portfolio is in line with your position and objectives. The other key area is that of currency. Sterling is currently approaching a historical low against the Euro and with further volatility expected during the transition of Brexit it is a large risk that should be addressed. It is therefore imperative to be able to manage the currency risk within your pension. At Harrison Brook, we would always recommend our clients to know what policies they have and control them carefully. First, make sure you get your pension benefits assessed to understand what your options are. This will help you make an informed decision regarding what you want to do with your retirement planning. Here at Harrison Brook, we are experts in Expat financial advice. We can assist you with pension advice, overseas pension transfers, expat life insurance, lump sum investement or also portfolio management. Get in touch today to discuss your position with a Regulated Financial Adviser.